Dr David Sorial’s passion for dentistry, commitment to excellence, and dedication to continuing education are just a few of the reasons he is the optimal dentist for you and your family. Dr.Sorial attended The University of Toronto for his undergraduate studies in Human Biology. He went on to attend the University of Michigan School of Dentistry where he received his Doctor of Dental Surgery Degree. He then completed a General Practice Residency at Michael Reese Hospital and Medical Center in Chicago Illinois. Dr. Sorial is a board certified general dentist with licensure in the State of Michigan, Illinois, Florida and in the Province of Ontario. He is certified in Basic Life Support and Advanced Cardiac Life Support. Upon completion of his residency, Dr.Sorial joined a group practice located in the Chicagoland area. This group practice had three locations; Chicago, Olympia Fields and Highland Park, all focusing on high quality dental care with an emphasis on Cosmetic and Implant procedures. In 2004, with a desire to be closer to his family, Dr. Sorial relocated to Michigan and joined a group practice that he now owns. This practice has been established for over 30 years and is dedicated to serving the Downriver community. With a passion for implant dentistry, Dr. Sorial completed his surgical and prosthetic fellowship with the Misch International Implant Institute and the International Congress of Oral Implantologists(ICOI). Dr. Sorial has also completed Comprehensive Implant Surgery Training at ISTM with Dr. Anthony Sclar. Dr. Sorial has completed the Faculty for Orthodontic Research and Continuing Education Advanced Post Graduated Program for general dentists. He also is Invisalign Certified. In addition, Dr. Sorial has completed a two year Orthodontic Seminar Series for General Dentists with Progressive Orthodontics. 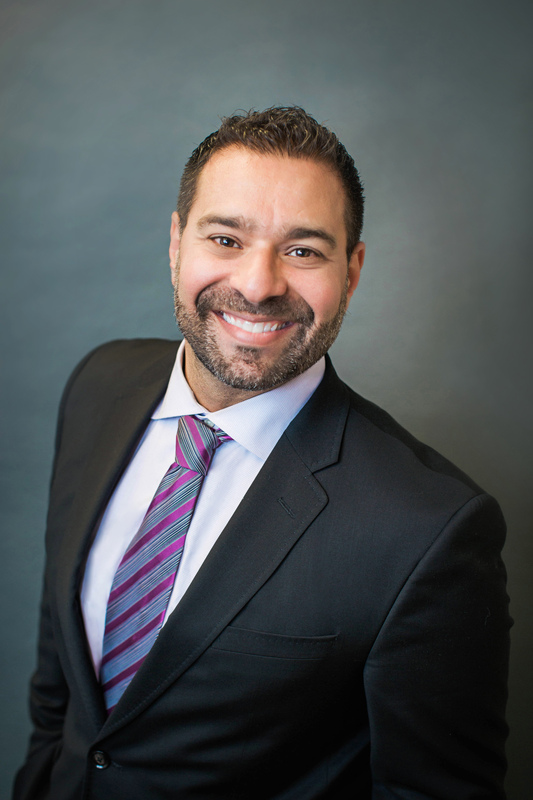 Dr. Sorial currently serves on the education committee with the Detroit District Dental Society. He is an active member of the American Academy of Dental Sleep Medicine. Dr. Sorial works closely with local sleep medicine physicians to treat patients with obstructive sleep apnea. Additionally Dr Sorial is a member of the Spear Study club which involves small peer groups who meet locally to collaborate on actual cases to improve clinical expertise. Members also travel yearly to the Spear campus in Scottsdale, AZ for group Continuing education. Dr. Sorial is a proud member of the Crown Council, a prestigious alliance of leading-edge dentists throughout the world, who are strongly committed to promoting oral health, fighting oral cancer and serving their community through charitable work. For the past five years Dr. Sorial has been a leader in the “Smiles for Life” foundation. This is a charitable organization through the Crown Council, which allows dentists in the United States and Canada to offer teeth whitening in their community at a reduced rate, and donate all the proceeds to a charitable organization. In April 2010 and 2013, Dr. Sorial was awarded with Southgate Salute to Business Excellence, recognizing his commitment to the community. He is committed to exploring new innovations in the field of dentistry and providing his patients with optimal dental care. In February 2015, Dr. Sorial was awarded the 2015 Community Engagement award by Mayor Joseph G Kuspa. This award demonstrated a commitment to improving the community through community engagement efforts. In 2011, 2012, 2013, 2014, 2015, 2017 and 2018 Dr David Sorial was honored in HOUR Magazine as a Top Dentist, based on the judgement of his peers. In his spare time Dr. Sorial loves to spend his time with his wife and two children. He also enjoys photography, golf, fishing, snowboarding, international travel and church activities.